A statue without a name? Why of course! Neal’s where the party’s at! Or is Detroit where the party’s at? Probably in both those places…and this pavilion. I think it was about this time that Abi requested that Lily show some self restraint. Getting ready for the race! Belle Isle, why you be so pretty? In case there was any confusion, these are both “HEAD”s. Tasty food and good people! Crazy burnt out hollow tree. Belle Isle bridge and Detroit. Thanks so much to Neal and Alexa for organising this get-together on Belle Isle! NB: If anyone who was at the Lolligag wants photos without watermarks, please ask (here, on FB, email, phone, etc. If nothing else, Neal and Alexa have my contact info. ), and I’ll try to figure out a good way to send them out (probably email). 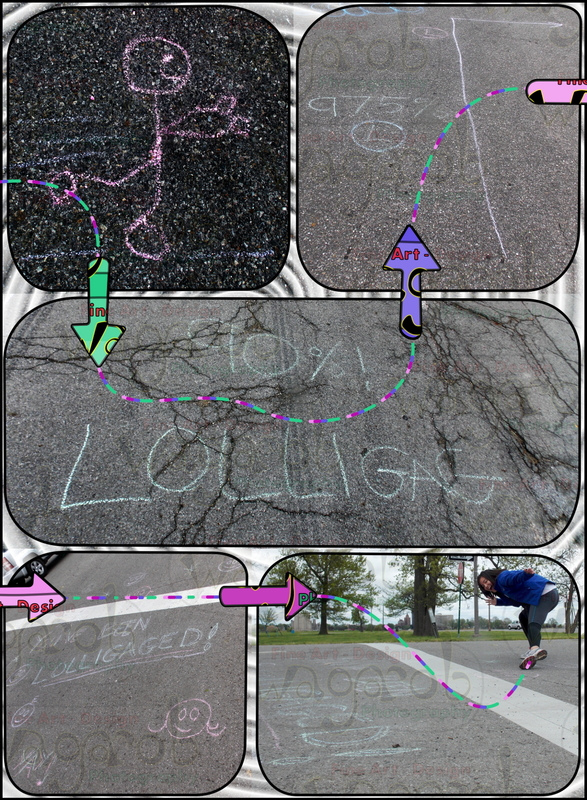 This entry was posted in Photography and tagged Belle Isle, chalk, Detroit, get-together, Lolligag, party, race, spring, walk. Bookmark the permalink.